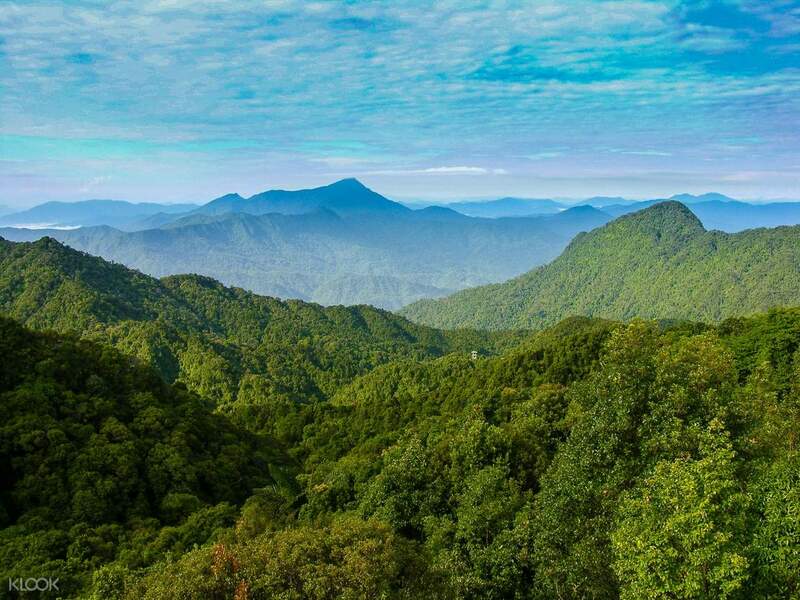 Challenge yourself in a trekking adventure at Bach Ma National Park to witness scenic views! The day at Bach Ma National Park turned out to be my favorite day in Vietnam. The guide was enthusiastic, knowledgeable and good at spotting wildlife. The 8 - 10 km trek was fun and through beautiful vegetation. Are you an avid lover of hiking and trekking? Challenge yourself by braving the trails of Bach Ma National Park, home to the most stunning natural attractions in Central Vietnam! Begin your adventure with a convenient hotel pick up if you’re staying in Hue City. By 8:45am, arrive at Bach Ma National Park and visit the Bach Ma showroom. Gear up and start the trek with your English speaking guide along stretches of lush jungles and semi-tropical rainforests. Enjoy the great outdoors and feel the thrill of the climb as you work your way towards the five-lake trail. 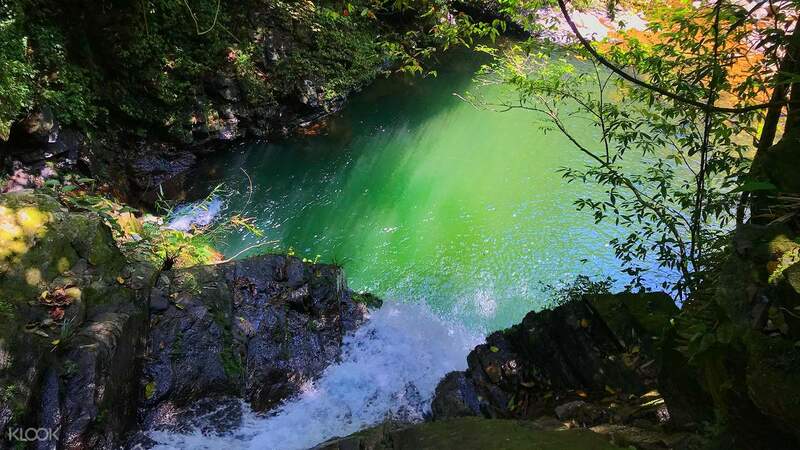 Stop at the beautiful Five Lakes where you can relax and swim in clear waters surrounded by dense greeneries. Soak in the beauty of nature while having a delicious picnic lunch by the lake. 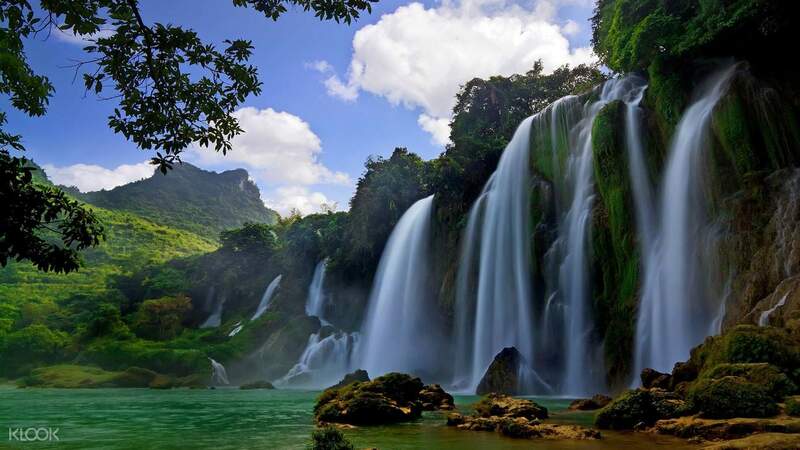 Resume your trek once more to reach the cascading beauty of Do Quyen Waterfall. Stand at the foot of the falls to see and feel the iridescent torrent of water pouring over you. Bathe in the picturesque setting of mountain falls and abundant flora as you relish in your trekking achievement. Take some time to rest and prepare for your way down the trail. The tour ends at 4:00pm followed by your safe return to your hotel or meet up location. A wonderful day trek in Bach Ma. Great to explore the tunnel, swimming in the pool and lunch inside the jungle. If you love trekking do sign up for it. A wonderful day trek in Bach Ma. Great to explore the tunnel, swimming in the pool and lunch inside the jungle. If you love trekking do sign up for it. The day at Bach Ma National Park turned out to be my favorite day in Vietnam. The guide was enthusiastic, knowledgeable and good at spotting wildlife. The 8 - 10 km trek was fun and through beautiful vegetation. The day at Bach Ma National Park turned out to be my favorite day in Vietnam. The guide was enthusiastic, knowledgeable and good at spotting wildlife. The 8 - 10 km trek was fun and through beautiful vegetation. Great trekking experience. Slightly marred by the torrential downpour but enjoyable nonetheless. Kudos to the excellent tour guides! Great trekking experience. Slightly marred by the torrential downpour but enjoyable nonetheless. Kudos to the excellent tour guides! An amazing day, well worth the trip from Dong Hoi. In one day we had two vastly different cave experiences and water/adventure activities at the end was a nice way to round out the day and cool off. Kate is an excellent guide, thanks for a great day! An amazing day, well worth the trip from Dong Hoi. In one day we had two vastly different cave experiences and water/adventure activities at the end was a nice way to round out the day and cool off. Kate is an excellent guide, thanks for a great day! Excellent experience the only unfortunate thing was wet weather. Our guide Dat, was super enthusiastic and funny. We enjoyed the whole itinerary! Definitely a must visit place when in Hue! Excellent experience the only unfortunate thing was wet weather. Our guide Dat, was super enthusiastic and funny. We enjoyed the whole itinerary! Definitely a must visit place when in Hue!